GenCorp Foundation, the philanthropic arm of GenCorp and its subsidiary company Aerojet Rocketdyne of Camden, has committed $40,000 over the next two years for the new engineering program at SAU. The College of Science and Engineering plans to purchase equipment for testing the tensile stress and compressive strength of different materials for use in the Structural and Strength of Materials Laboratory. Aerojet Rocketdyne of Camden, through GenCorp Foundation, is also providing $4,000 for Southern Arkansas University scholarships to benefit engineering majors who have financial need, with preference given to awarding female or minority applicants. GenCorp Foundation has previously supported STEM (Science, Technology, Engineering and Math) at SAU by funding equipment for the Science Center, as well as a science laboratory preceptor program. Aerojet Rocketdyne is a world-recognized aerospace and defense leader providing propulsion and energetics to the space, missile defense, strategic, tactical missile and armaments areas. 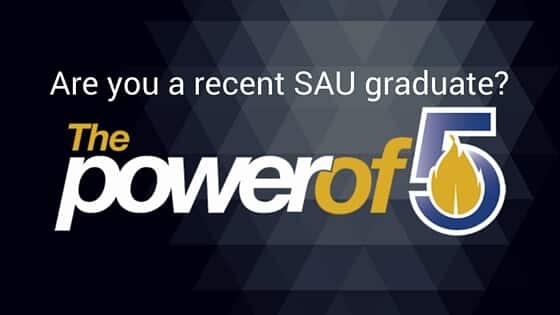 Southern Arkansas University reached an all-time record enrollment this fall, thanks in part to new and unique academic programs SAU is bringing to the region. SAU’s new engineering program earned a lot of attention in the spring when it was approved by the Arkansas Department of Higher Education, making it the only engineering program in South Arkansas. To find out more about SAU Engineering, visit www.SAUmag.edu/Engineering.